Welcome to K.G. Patel Children Hospital, a resort for the ailing and the handicapped children, particularly the less fortunate ones who have less or no means to fight their illness in the money-intensive medical care presently available. Here they pay less or do not pay at all for the excellent services. 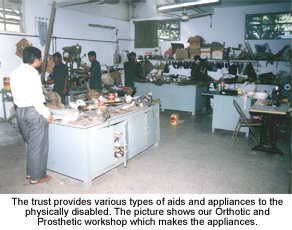 Medical Care Centre Trust, which runs this public charitable hospital, was formed by few like minded citizens of Vadodara. They wanted to build and run a general hospital for the poor. They acquired a piece of land from the government free of cost. In 1979, the International Year of the Child, they decided to make a gift, permanent and perennial in nature, to the present and the future children of western India. The idea got overwhelming support from society. Schoolchildren from 14 schools of Vadodara collected over Rs. 700,000 for the project. Kind philanthropists extended their helping hands. 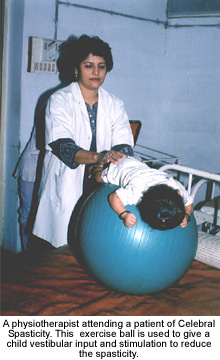 As a result the CHILDREN HOSTPITAL was opened in 1984. Soon the institution became the centre of excellence in child health care for any ailment or disease, deformity or handicap, with a facility of 100 beds for indoor patients. The hospital provides even medicines to those poor patients who have no money to buy them. 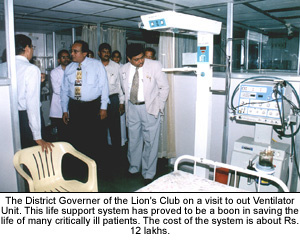 Lions Club International Foundation Pediatric I.C.U. Muljibhai V. Patel Neonatal I.C.U. Kindly join us in our effort to help the needy and poor. Donations are exempt under the Income Tax Law.